Swarthmore College is one of the most searched for colleges in America, according to a recent internet keyword search of basic two and four year colleges. Swarthmore is a private liberal arts college founded by Quakers in 1864, and located in Swarthmore, Pennsylvania, which is just over 10 miles southwest of Philadelphia. Swarthmore has an undergraduate enrollment of roughly 1,600 students. The student faculty ratio is about 8 to 1. Swarthmore offers more than 600 courses a year, which is a lot for a small college. Overall, 90 percent of Swarthmore grads eventually attend graduate schools, such as UC Berkeley, NYU, Oxford, Harvard, Stanford, and Yale. Graduates of Swarthmore include five Nobel Prize winners. Other notable alumni include Michael Dukakis (politician), Christina Paxson (President of Brown University), CEO Harold Mertz (founder of Publisher's Clearing House), CEO Robert Zoellick (former President of World Bank), and novelist James Michener, who left his entire multi million dollar estate to Swarthmore. The acceptance rate at Swarthmore is less than 13 percent. Six times, the U.S. News & World Report has ranked Swarthmore the best liberal arts college in the United States. As of 2017, Swarthmore still ties for 4th best on that report. In 2016, Forbes magazine ranked Swarthmore the 10th best liberal arts college in the nation. Not only that, but in 2009, 2010, 2011, and 2013, Swarthmore was ranked as the #1 “Best Value” private college by the Princeton Review, based on academics, cost, and financial aid. 1. Where is Swarthmore College? The Swarthmore campus is located at 500 College Avenue, in Swarthmore, Pennsylvania. The zip code is 19081. The town of Swarthmore is situated about 15 miles southwest of Philadelphia. 2. What courses and programs are offered at Swarthmore College? If the majors on this list are not enough choices, you can design your own major at Swarthmore. 3. What types of certificates and degrees are available at Swarthmore College? Swarthmore offers Bachelor of Arts degrees in all of the above fields of study, and a Bachelor of Science degree in Engineering. Some students have been known to earn double degrees. 4. Who should attend Swarthmore College? Swarthmore is primarily designed for very serious students who finished in the top 1 percent of their high school classes. Many students enrolled at Swarthmore were the valedictorians at their high school graduation ceremonies. The college is highly selective, so people who really want to go to Swarthmore are well advised to set up an interview. Swarthmore is among the most extraordinarily competitive non universities in America, comparable to Dartmouth College. 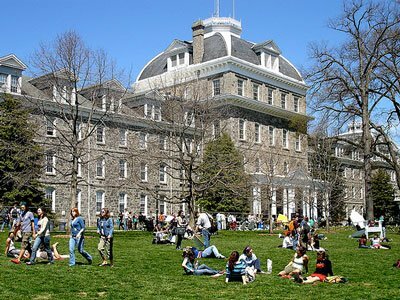 If for any reason you don't get in to Swarthmore, other excellent nearby colleges include Drexel University, Temple University, and University of Pennsylvania, all located in Philadelphia, as well as Wilmington University in Wilmington, Delaware. 5. Why attend Swarthmore College? If you are lucky enough to get selected to a college that has an acceptance rate of under 13 percent, that's probably a good enough reason to go to Swarthmore. 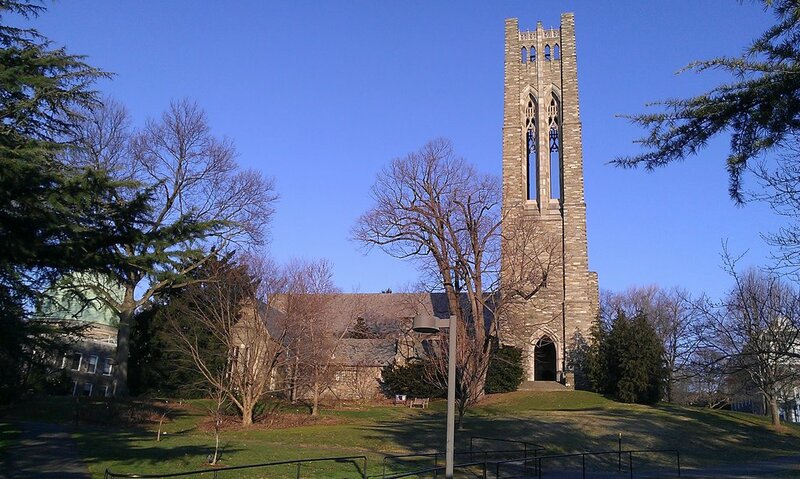 Swarthmore is situated on a gorgeous campus near the Scott Arboretum. 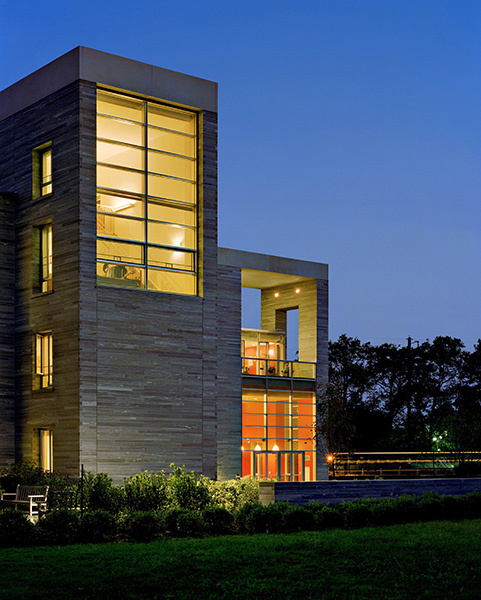 Swarthmore is a cute, convenient college town with all the amenities a college town can offer. Swarthmore is easily accessible to Philadelphia. Swarthmore offers a gigantic range of courses and majors. 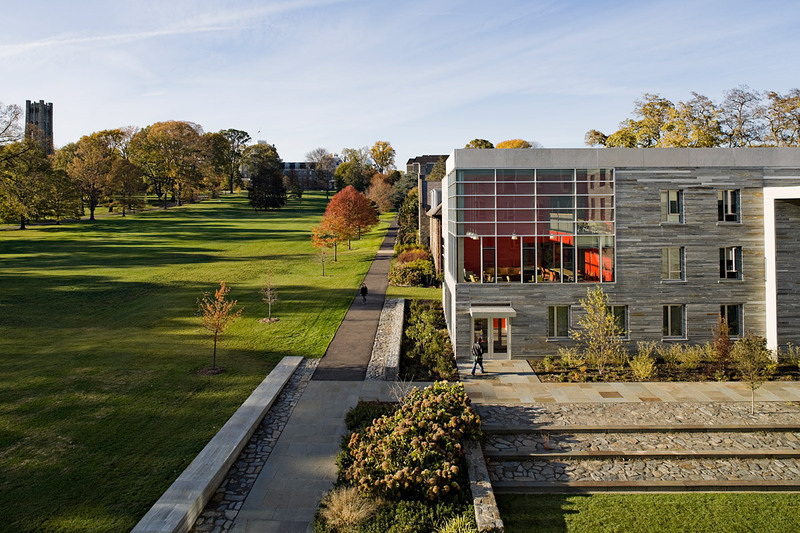 Swarthmore is the only undergraduate college to rank among the top ten colleges in America. All the rest are universities. 6. How much does it cost to attend Swarthmore College? According to the Swarthmore website, the total cost of tuition and expenses for one full year at Swarthmore for the upcoming school year is roughly $66,000. and a student activity fee of $398. The student activity fee covers costs such as laundry, wifi, printing services, lectures, participation in sports and other student activities, admission to athletic events, trips to Philadelphia, and other perks. Scholarships and financial aid are available to many who apply. About half of Swarthmore's enrolled students receive financial aid based on demonstrated need. 7. How long does it take to earn a degree from Swarthmore College? For a full time course load, which is typical for students at Swarthmore, it takes approximately four years of successful enrollment to earn a Bachelor of Arts degree in anything, or a Bachelor of Science degree in Engineering. 8. What is the Swarthmore College campus like? The suburban Swarthmore campus spans about 400 acres. 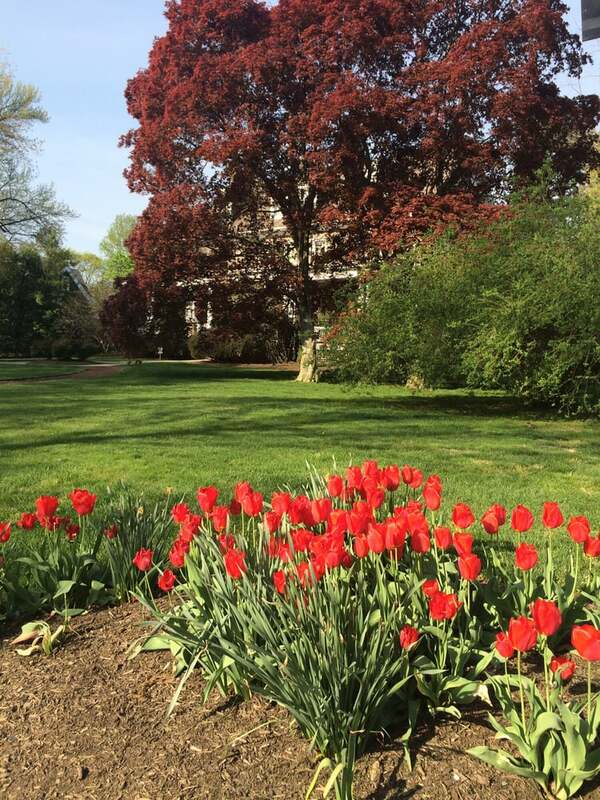 As if Swarthmore doesn't have enough distinctions, both Travel + Leisure and Garden Design magazine have ranked the Swarthmore campus as one of the most beautiful campuses in America. The buildings are set on the east side of the campus, with the beautiful Crum Woods and Crum Creek toward the west. The crowning glory of the Swarthmore campus is Parrish Hall, a grand, five-story, 19th century stone building with a long pillared entranceway. Parrish Hall contains administrative offices, student lounges, the campus radio station, the campus newspaper office, and two floors of student housing. Surrounding Parrish Hall are many other buildings that are used as classrooms, libraries, labs, athletic facilities, dormitories, and dining halls. There's even a Swarthmore Campus & Community Store. The athletic teams at Swarthmore play for the NCAA Division III Centennial Conference. The school colors are garnet and grey. Varsity teams at Swarthmore include a broad range of sports, such as badminton, baseball, basketball, cross country running, field hockey, golf, lacrosse, soccer, softball, swimming, tennis, track & field, and volleyball. Campus club sport options for both men and women include rugby, ultimate frisbee, volleyball, fencing, squash, and quidditch. Aside from sports, there are about 100 student-run campus organizations. These include a radio station, a student newspaper, several literary magazines, the Swarthmore Mock Trial team, a debate society, and even a comedy troupe. Recurring on-campus special events include Screw Your Roommate and Pterodactyl Hunt. Shown above: The Scott Arboretum sits adjacent to the Swarthmore campus. 9. What is the Swarthmore College neighborhood like? The walkability score is very good in the area surrounding the Swarthmore campus, with convenient public transportation nearby. Swarthmore, Pennsylvania is a typically pleasant college town, dotted with coffee shops and restaurants, among other conveniences, all within walking distance of campus. What's more, Philadelphia is only a 25-minute train ride away. 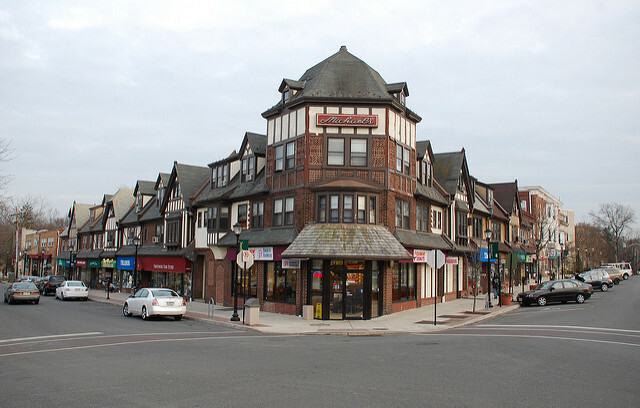 A train station is conveniently located right next to to the Swarthmore campus. The campus also sits adjacent to the Scott Arboretum, featuring the picturesque Crum Woods and Crum Creek. Just a few blocks north of the Swarthmore campus is the Springfield Mall and a Target store. 10. Does Swarthmore College offer distance learning? Not exactly, but Swarthmore has something called ZOOM video conferencing for the purpose of remote teaching, in the event that a teacher cannot make it to a class, perhaps due to a snowstorm. Students at Swarthmore tend to live on campus, so distance learning is not a huge necessity. Swarthmore features distance teaching more than distance learning. For distance learning, click here to see More Than 50 Top Ranked Online Colleges. 11. What is the contact information for Swarthmore College? You can contact the main switchboard of Swarthmore College by calling 610-328-8000. To reach the Swarthmore Admissions Office, call 610-328-8300. To reach the Swarthmore Financial Aid Office, call 610-328-8358.